provide a healthy taste of Brazil until Oct. 2 nd . 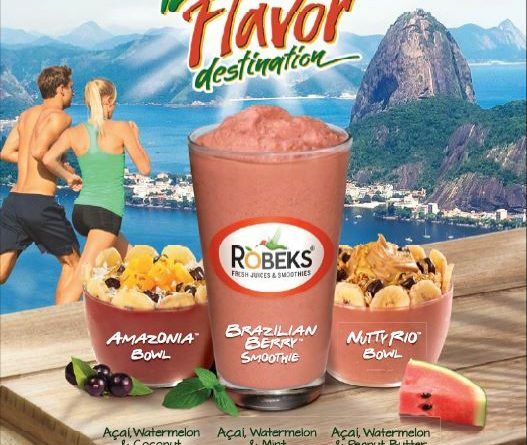 LOS ANGELES — Robeks Fresh Juices; Smoothies is bringing a taste of Brazil to its stores. treats in our new limited-time- only Brazil’s Flavor Destination offerings, available through Oct. 2.
coconut, bee pollen and raw honey. and was one of the first smoothie purveyors to use the açaí berry in its products. Director of Marketing Matt Furman.